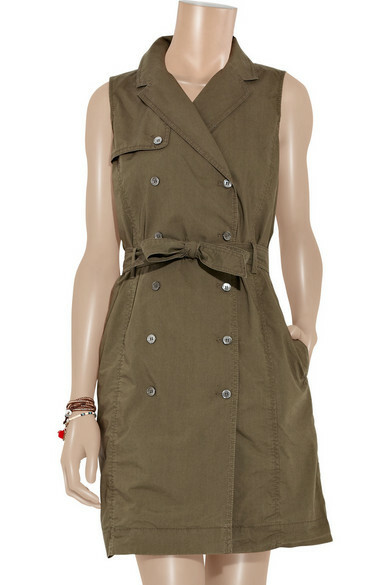 J.Crew's olive cotton trench dress is a feminine take on utility style. 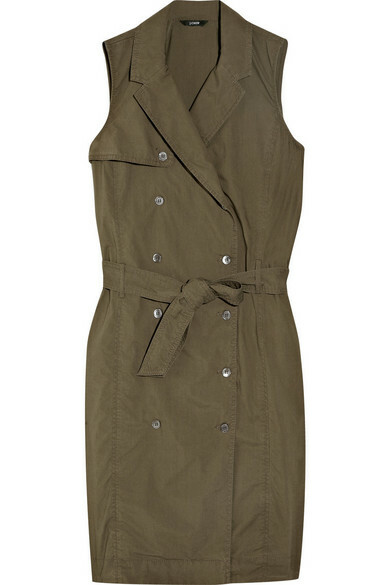 Wear it with leopard-print wedges and an oversized messenger bag for a contemporary city look. Shown here with: Mulberry bag, Alaïa boots and an Isabel Marant necklace. 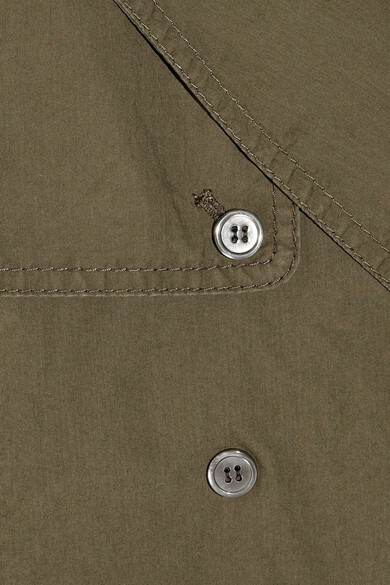 Olive double-breasted cotton shirt dress. 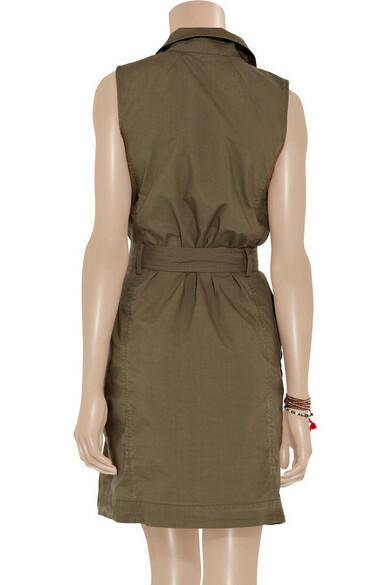 J.Crew dress has a notched lapel collar, V-neck, gunflap-style detail at right breast, double-breasted front button fasteningsm self-tie adjustable waist belt, belt loops and side slit pockets. 100% cotton. Machine wash. Designer Color: Vintage Fatigue.